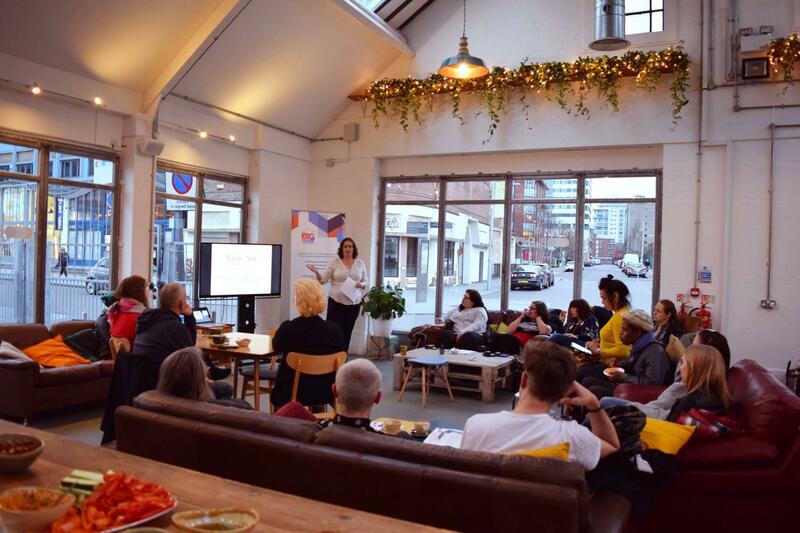 The Creatives' Club launched at Blend in Nottingham at the end of March and, with only three events under it’s belt, is already attracting sell out crowds. Designed to bring together a like-minded crowd of designers, makers, creators, digital nomads, entrepreneurs and business owners, the new fortnightly networking fixture has been hailed a huge success. Complete with soundtracked speed networking, a series of inspirational keynote speakers and wholesome locally sourced snacks, it is fast becoming a ‘must attend’ for creative types in Nottingham and Derby. To date, speaker slots have included social media tips and insights into how to be happy from HyggeBox, a futuristic look at cryptocurrency and its potential to support small businesses from Imaginaire Design and an honest account of making the leap into freelance from Magda K Photography. With more inspirational speakers planned and soundtracked speed networking providing a friendly and informal environment to mingle, it is proving increasing popular within the creative community. The Creatives’ Club is a series of networking sessions from The Big House project, in association with the Creative Quarter. The events are aimed at encouraging Nottinghamshire and Derbyshire based creatives at all levels of their careers to connect, network, forge relationships, hatch plans, collaborate, share skills, be curious, ask questions and discuss all things entrepreneurship, business and beyond. Want to be inspire others and share your story? If you fancy speaking at a future event and have an inspiring business story to share at Creatives’ Club, contact us on bighouse@creativequarter.com. Want come along to the Creatives’ Club? Check our events page for details and dates. Creatives’ Club forms part of The Big House programme, which provides fully funded support to creative and digital entrepreneurs and businesses across Nottinghamshire and Derbyshire. This project is partially funded by the European Regional Development Fund.